You still have time to register! 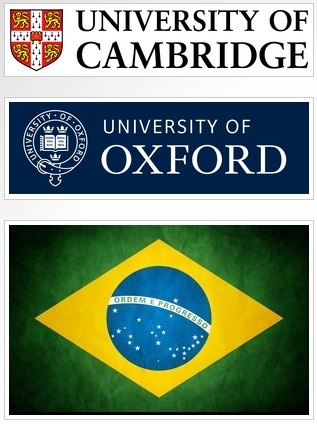 We are inviting all academics, researchers and students interested in Brazil, to attend the II Oxbridge Conference: Brazil, Research and Development. The II Oxbridge Conference is a multi-disciplinary event that brings together scholars from the natural sciences, social sciences, humanities and arts to discuss the potential effects of their research to Brazil. This year, the Conference will take place at Hughes Hall, University of Cambridge, on June 1st. Please, note that in order to confirm your attendance, you have to register. 2. sending an email to submissionoxbridge@gmail.com confirming that you have made the payment.